FINALLY! For those who are interested, the last three speakers of the "Sharia in America" Symposium will be completed and posted . 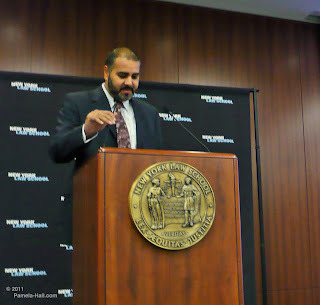 Part 8 of 10 - Aug 26, 2011 (Day 2) of an 8 hour Symposium at NY Law School Law Review On "Sharia in America:Principle and Prospects". The purpose was to examine the place of Islamic Law in The United States. Professor Moghul was recruited late for the Symposium. He is an adjunct professor at the University of Connecticut School of Law and a full-time practitioner from the firm of Murtha Cullina LLP. where he is Chair of Islamic Law and Investment Practice. 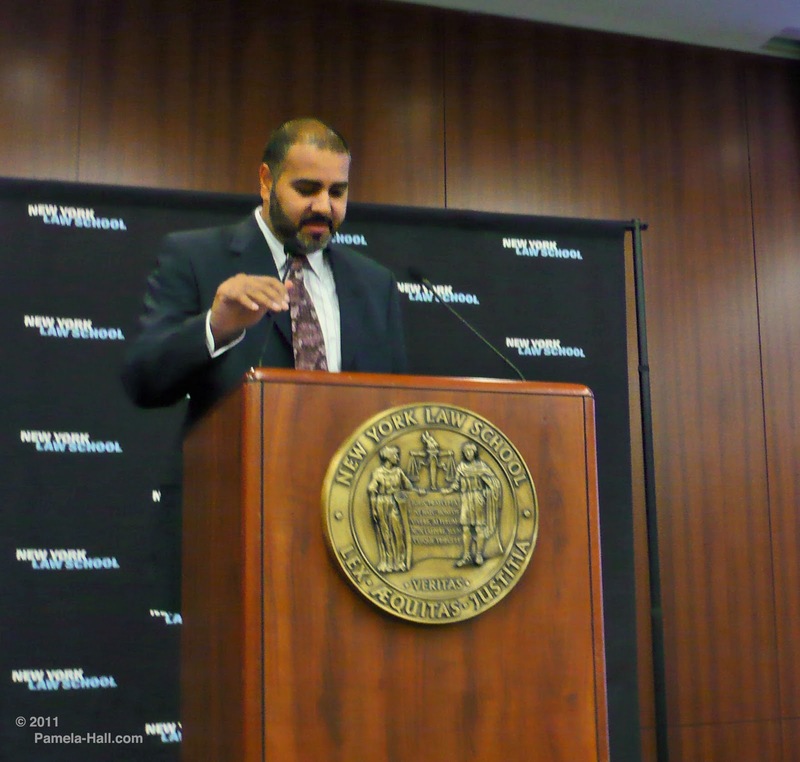 Professor Moghul has published articles on how Islamic Finance is practiced here in the U.S.and the legislation that addresses it. This is just after lunch break and the group didn't seem focused on asking questions, so those who are asking questions are often Professor Stilt, Professor Reza, Professor Quraishi and Professor Vogel. Bank buys home, sells it to him at a mark-up, why is this so unique? Two slides at 20:32 and 20:44 were actually from Prof. Reza's presentation that follows this. The Sharia Symposium continues with two more speakers. Professor Sadiq Reza (Criminal Law) then concludes with a Plenary Discussion.